Can't find any free-time lately, if you manage to find a version that compiles and runs on current lifes please let me know. Maybe directvnc would work to show the screen. You would have to install VNC on the the PC, though. mad_ady wrote: By the way - what was your project about? Anything interesting for the community? And is this GUI intended to run on a PC/tablet/phone? Or are you coding a replacement for DMAOSD (but if you were, you wouldn't need screenshot ability)? Darren wrote: Beta testers, anyone? As you can see, when nc is closed or after generating the image, the actual socket to wdtvext/dmaosd is not closed and resources are not released. This builds up in time and cause a denial of service - you can't get any more connections on port 3490. The problem is, the CLOSE_WAIT state doesn't have a timeout timer and such connections should be terminated by the remote end (dmaosd in our case). so, it should free the socket after a timeout. Now, the challenge remains to spoof such a packet (should be possible with tools such as hping3), but, spoof it in such a way that it is considered a valid packet by the TCP stack. This means that we need to get correct sequence/ack numbers in that packet. And I have no idea how to find out which are the last seen syn/ack numbers for that connection (these are tcp stack internals that are probably not exposed in /proc by default). So, I'm here listening for ideas - no matter how crazy... How do we clear those sockets without restarting dmaosd? The good news is that preliminary tests for the screenshot method (the printscreen you were testing kroetkroet) show that it is quite fast. 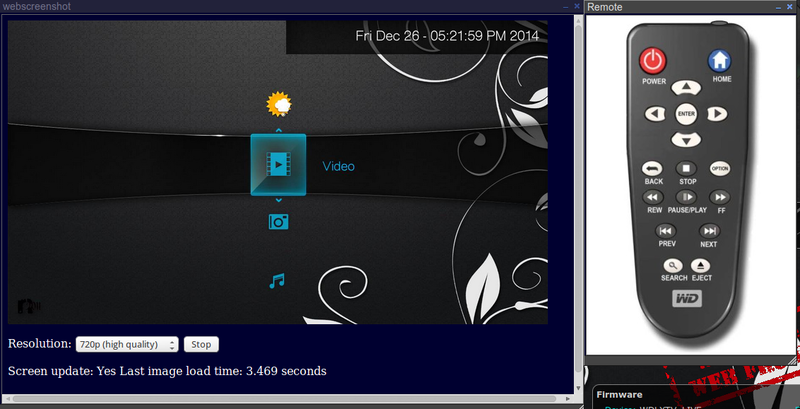 The screendump is done in ~0.5s and conversion to jpg takes ~1s. So, 1.05, 1.06 and SMP users should benefit from it in the future.